Buffy Blu-Ray Discs: When Will They be Out? The “Buffy” blu-ray DVDs will present a higher-quality experience for those viewers who want the best collection possible of the classic television show that transformed the way that people watch TV as well as an entire generation’s attitude towards women. However, purchasing the “Buffy” blue-ray discs is a sizable investment — still, don’t worry! We are sure that it will be worth it (not that we’re biased!). Most people, of course, will buy them if they are already fans of the show, but we don’t doubt that many will still do so on the advice of friends, family, and television critics who have always recognized the timeless appeal of the program. So, if you’re new to the “Buffyverse,” here’s a rough guide so you are not lost at the beginning. 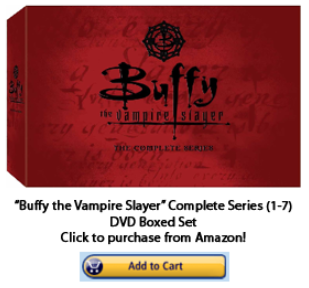 The first season of the “Buffy” blu-ray set establishes the premise of the show and focuses more on action as a result. The characters are simplistic (Buffy the ditzy hero, Willow the computer nerd, Cordelia the vapid cheerleader, and so on). But everything becomes more complex in the final episode and resulting seasons. The second season starts to become more complex and has more dramatic tension, ethical dilemmas, and character development. Buffy becomes involved with an older gentleman who, suffice it to say, is not her type (or is he? ), and there is a lot of emotional baggage as a result of the progression of their relationship. Another character becomes more confident in herself — but in doing so ends up directly affecting Buffy’s boyfriend in a way that no one could have predicted. Two characters who had seemed to be like oil and water start to grow in maturity and find that they may just mesh after all. In the third season, the Scooby Gang — Buffy and friends focus more on the impending graduation from Sunnydale High. Meanwhile, Buffy meets another slayer (we won’t give away the plot) who ends up being both a friend (because they can empathize with their “chosen” roles) and an enemy (watch the season to see!). The fourth season is a significant change — some of the characters go to college and some do not, but they are all in the middle of developing their personalities and futures. 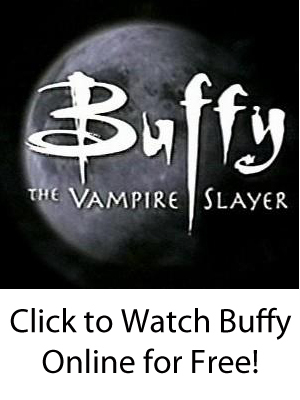 Buffy loses her bedroom at home after moving to the dormitories at the University of California at Sunnydale, Willow realizes something life-altering about herself, Giles goes through a mid-live crisis, and Xander meanders his way through a series of part-time, dead-end jobs while living in his parents’ basement. And so on. The fifth season focuses on the family issues — both worldly and otherworldly– as the characters grow older and leave their immaturity behind. Buffy must care for a little sister (we won’t give away the reasons) and her cancer-stricken mother as well. A couple moves in together. A character’s girlfriend deals with familial disapproval of a certain “lifestyle choice.” Buffy starts to study with her watcher (and father-figure) again. The season’s main enemy needs to “go back home.” At the conclusion of the season, Buffy protects her family with a sad-but-heroic action. The sixth season of the “Buffy” blu-ray set deals with what has becoming known as the “quarter-life crisis,” albeit in a fictional and exaggerated context (of course). Buffy is overwhelmed with bills and debt and must take a job at a fast-food establishment. Her sister begins stealing items from stores. A close friend becomes an addict in regards to (metaphysical) drugs. The slayer begins an abusive relationship because she needs to feel a connection to something in any way possible. In the finale, the world is saved by someone helping another with her mental angst following a tragedy. The seventh (and last) season returns, in a sense, to the beginning, but in a different way that differs from the cliched first season. It mixes the “humans-good-monsters-bad” theme of the first season but manages to showcase how all of the characters have changed as people (for better and for worse). The First Evil wants to destroy the world once and for all, and Buffy and company need to respond when it looks like they might lose.